LET’S CAST OUR NETS TOGETHER! On April 16th, 21 Pastors & Leaders representing 19 different churches met to discuss how we can position ourselves to partner together and with others, in reaching our communities for Christ. 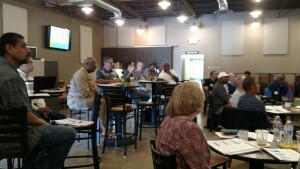 This event was presented by the San Diego Southern Baptist Association and hosted at Pathways Community Church. 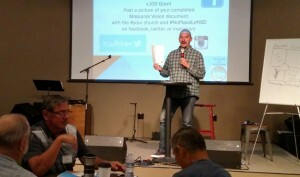 The format provided a combination of instruction, reflection and activity, so attendees could apply what they were learning to their church in real time. The worksheets also resulted in a documented gameplan that participants could share with others in their church when they returned. Based on the comments, attendees considered the day a valuable investment of their time. We look forward to seeing God use this workshop to launch new partnerships, new ministry and new opportunities for reaching our neighbors with the gospel. To build momentum and continue the conversation, attendees were challenged to post their completed vision document and receive a $100 grant to host their first team meeting. Search #NOPLACELEFTSD on social media for the latest updates and events. BE A PARTNER! FIND YOUR PARTNERS!